BANGKOK: The National Human Rights Commission (NHRC) has been petitioned to play an active role in finding out the cause of death of Armed Forces Academies Preparatory School (Afaps) cadet Pakapong â€œMoeiâ€� Tanyakan. The mysterious death of the 18-year-old first-year cadet who died on Oct 17, one day after he returned to the school after a short break, has ignited scepticism about what happened to him at the school. Several political and social groups turned up yesterday ((Nov 27) at the NHRC to petition the agency to examine why Mr Pakapong lost his life. They included the League of Liberal Thammasat for Democracy, Anti-Sotus, Chulalongkorn Community For the People, Law Long Beach and Third Way Thailand. The petition was submitted to NHRC member Angkhana Neelapaijit. According to the groups’ statement, the death of the cadet was not without precedent as eight people have lost their lives in military-related facilities since 2011, and most of the cases took place after the military regime took power. Excessive military punishment is not a way to strengthen discipline, but it is abuse of power committed by people who give the order and this diminishes people’s dignity, the statement reads. It sows hatred, which has been passed down by generations of military members, it notes. The NHRC is duty-bound by the charter to probe and report the facts behind these cases of human-rights violations and come up with suggestions on ways to prevent a repeat of such an offence, the statement reads. The groups accused the NHRC of failing to perform its duty in dealing with cases over the past seven years, and said the agency only counters criticism against the military regime and tries to make it look good. The groups want the NHRC and other constitution-endorsed bodies to examine what happened at the school and other military barracks and devise measures against human rights violations in these areas, it reads. The groups also condemned the military government for failing to take responsibility for Mr Pakapong’s death, and instead defending human rights violations. Mr Pakapong’s family on Sunday (Nov 26) said they were suspicious about haemorrhaging found in the cadet’s spleen and liver, citing the latest autopsy findings from the Army Institute of Pathology of Phramongkutklao Hospital. 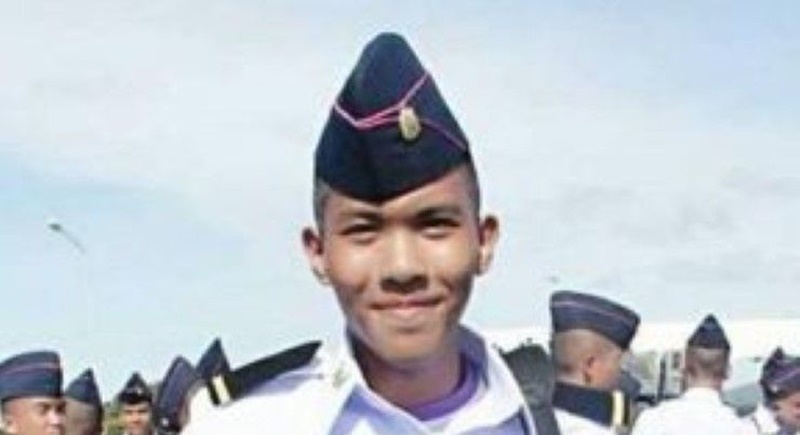 The cadet’s sister, Supicha, said Phramongkutklao doctors told her family that although CPR had been performed on Mr Pakapong for four hours, this was unlikely to have affected his spleen and liver.